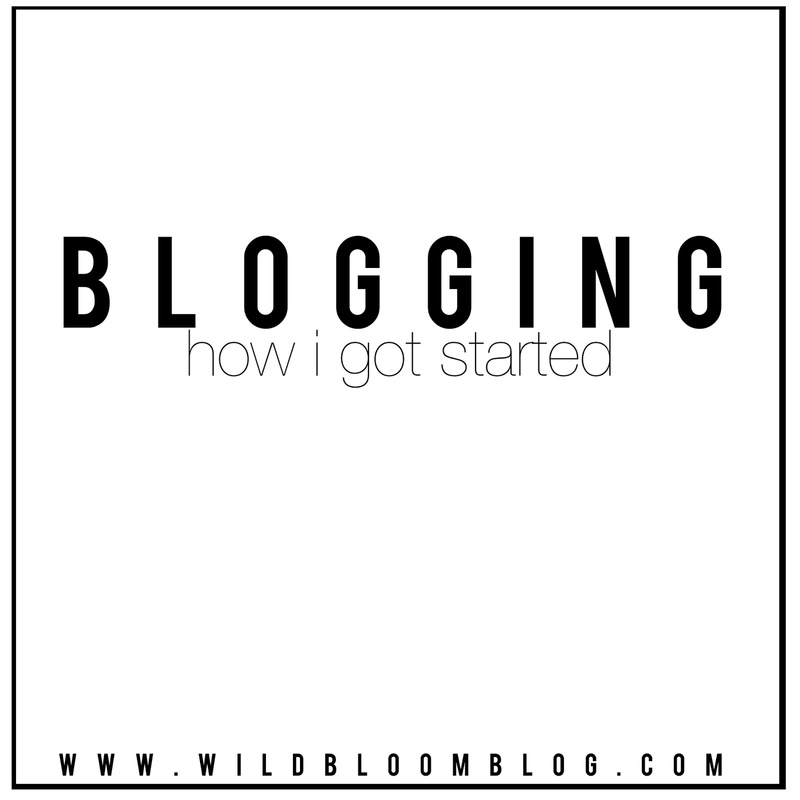 W I L D B L O O M : blogging // how i got started. when i read other bloggers' "how i got started" posts, i laugh to myself [and at myself.] most bloggers set out to document their college experience or their wedding planning process or their first years of marriage or the lives of their adorable kids or their DIY home projects. i, however, do not have an elaborate 'how i started my blog' story. i didn't go to college. i wasn't married at the time. [not even a boyfriend!] i didn't have any kids. and i still lived with my parents. truth be told - i randomly stumbled across sydney's blog one day and instantly fell in love with her impeccable style and witty humor. i spent all the free time i had that weekend obsessively reading her entire blog all the way back to her first post [that's not as creepy as it sounds.] by the end of that weekend, i made the decision to start my own blog. the only previous online presence i had was writing little posts on myspace [flashback!]. i really enjoyed writing in that space + sharing little snippets of life and what's on my mind. my first blog - beauty in humble places - was a learning experience. [mostly on what not to do with a blog]. but that experience equipped me with the knowledge to make the most of my words + photos online. i could write a quick post with fluff words + slap a few photos in there or i could put some time + effort into what i really want to say, which could have an impact (however big or small) with someone else. when i started fresh with this space, blogging quickly became my favorite creative outlet. it correlates with my passion of photography. i can share my photos + thoughts + opinions + happenings. there are ladies out there who can relate with my joys and sorrows. blogging is a form of art. it's not understood by some, but that doesn't decrease its value.